I typically meal plan, but the other night, I looked at the clock, realized it was dinner time, and thought "oh shoot". I had no idea what I was going to cook and had about 5 minutes to figure something out. 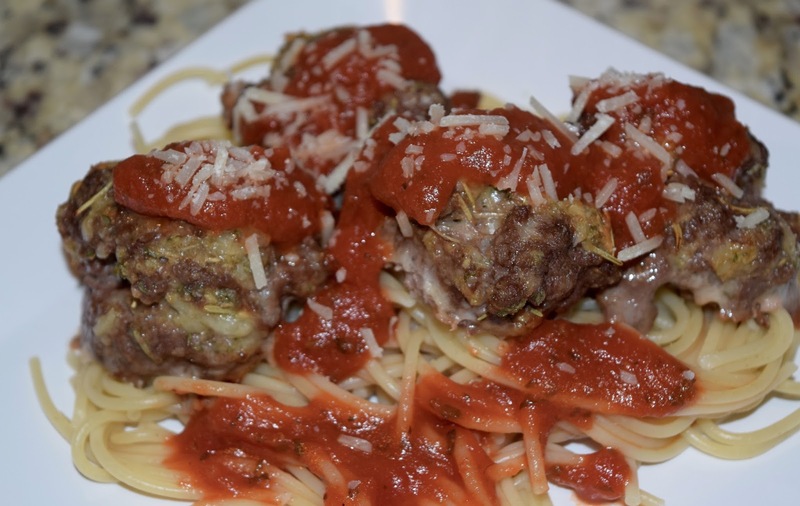 I had half a box of spaghetti and a package of ground beef, and these baked Italian meatballs were born. I looked at a few recipes but really just winged it, and they came out wonderfully! 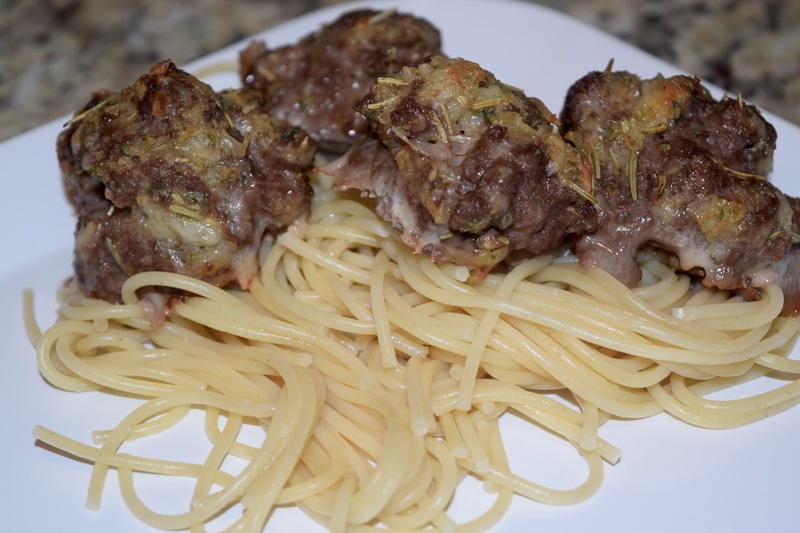 The husband loves anything with beef in it, so he was a big fan of these meatballs. Plus, they made great leftovers for him to take to work for lunch the next day! 1. Preheat oven to 375 degrees. Line a baking sheet with foil and spray with cooking spray. 3. Portion out meat into 1 inch balls and place on your baking sheet. 4. Bake 20-22 minutes or until cooked through. Serve over a bed of pasta with marinara sauce! Oh my goodness...these look great! I'm trying to eat healthier while pregnant (HA) but maybe I can add these to some spaghetti squash! Yum!